Requests for imaging tables are very much less common than general surgery tables, but we’ve had more than a few over the last couple of decades. 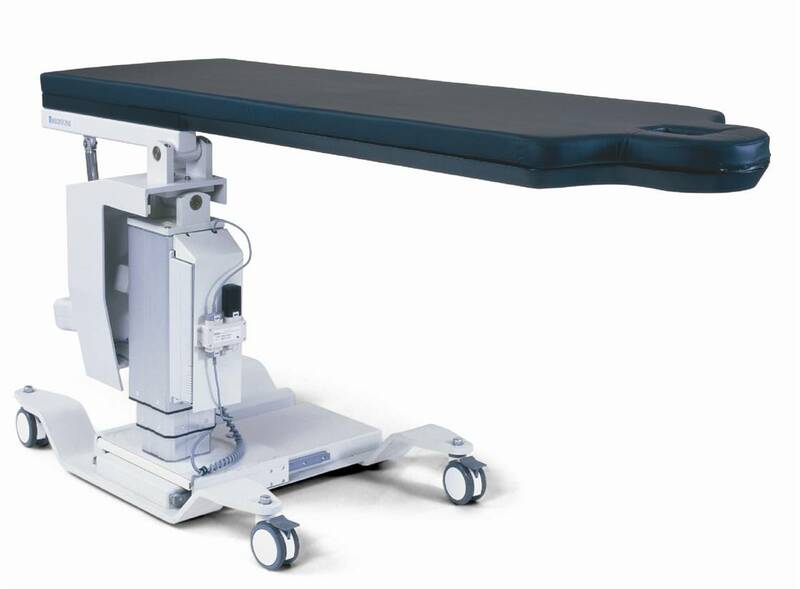 With the improving C-Arm technology, the demand for C-Arm imaging tables seems to be on the rise. Certain hybrid operating rooms call for different surgical table requirements. 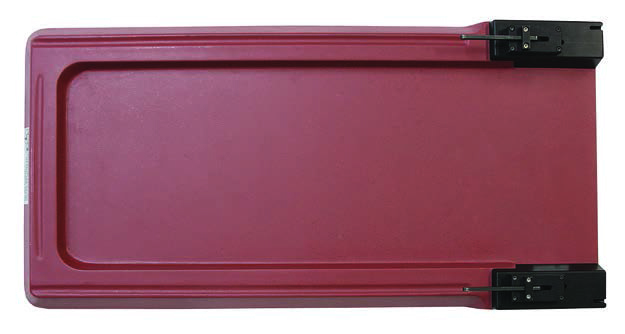 With the increasing demand for these special ORs, so have the demand for tables that are suited to its specific purpose. 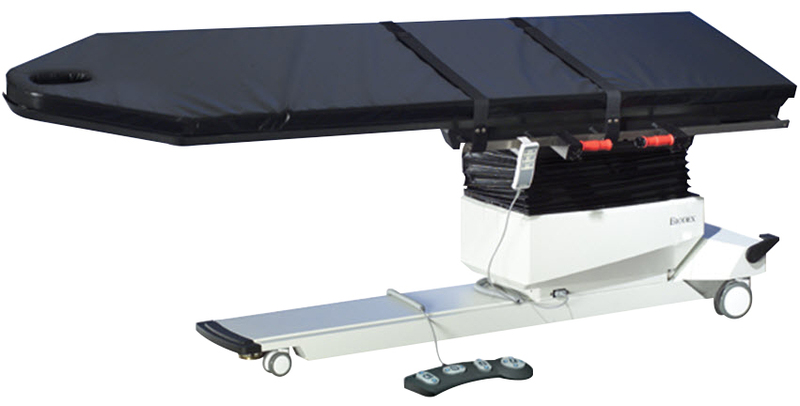 From what we’ve seen over several decades of providing surgical tables to the Canadian healthcare market, it’s safe to say that there are some major discrepancies when trying to figure out how much a C-Arm imaging table costs. Imaging table options vary from fixed height, no articulation to tables with a wide range of adjustments, such as trendelenburg, lateral tilt, etc. In this article, we’re going to cover the basics of buying a C-Arm imaging table, as well as some other things you may not have thought of to determine the actual cost. The main difference between an imaging table and a general surgery table is the tabletop composition. Imaging tables will have a carbon-based tabletop to facilitate the imaging process. Carbon fiber has several levels of quality. The higher the level, the less table interference will be and fewer artifacts appearing in the image. According to the report “X-Ray Equipment in Medical Diagnosis Part A: Recommended Safety Procedures for Installation and Use – Safety Code 20A” from Health Canada, the other component in the tabletop is the amount of aluminum. Normally imaging tables will have between 0.4 and 0.6 mm but must not have more than 1 mm (when measured at 100 kVp). 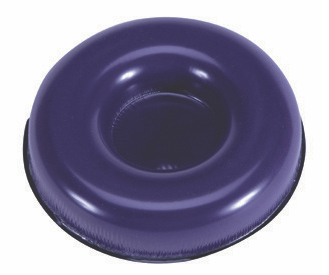 If you’re not doing procedures where full imaging is required, it may be in your best interest to buy imaging-friendly table accessories for your general surgery table. Pay attention to this section. The more movements your table is capable of making, the more expensive it’s going to be. In addition to articulation, another question for what you want is table mobility. 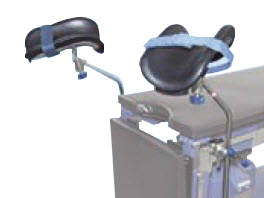 How mobile is the table should you need to move the patient around for optimal C-Arm positioning? Does it have motorized controls for easier movement? Remember that a motorization also has its own costs, so the question becomes ‘is motorized movement worth it’. If you’re thinking of adding to your general surgery table, you might want to check the imaging accessibility first. Some general tables already have a base that is favourable to imaging, while others may not. 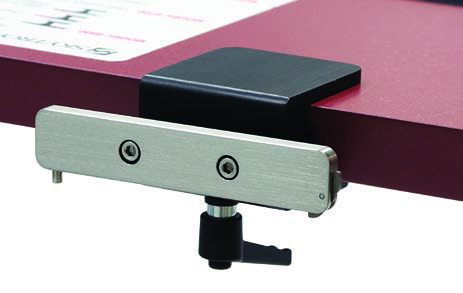 One of the major features of an imaging table is the pedestal and cantilevered design. An important part of the functionality is the tabletop slide, as mentioned above. Typically, a general surgery table mattress is minimum 3 inches but can be upwards of four or five. Imaging table mattresses, on the other hand, are typically 2 inches thick but can be as thin as only 1 inch. Radiolucent and MRI compatible mattresses for imaging tables are only one piece of the puzzle. Thickness (or thinness, depending if you’re a glass half-full or half-empty person) is the other. 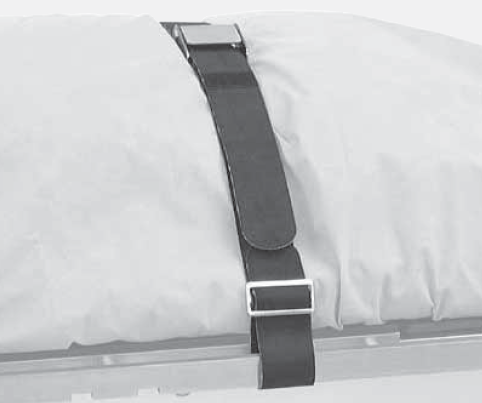 As with most surgical tables, the patient weight limit is another factor in cost. You will find that most imaging tables have a weight capacity of about 500 lbs. If you’re looking for an imaging table that can handle more than 500 lbs, prepare to have your options cut down significantly, as there just aren’t a lot out there. You’re probably thinking that this is a stupid question, but then you remember that a teacher once told you as a child that there are no stupid questions. While it’s obvious that the purpose of an imaging table is to facilitate imaging procedures, what we’re talking about here is the final destination and intent. Is the table going to a Hybrid OR? Is it going to a general operating room? For hybrid ORs, the type of imaging table will probably be a little bit higher end as you’re already spending a few million on the room. Why not throw in another couple tens of thousands of dollars? Likewise, if you’re a smaller facility, you probably don’t need such a fancy imaging table. As with all specialized equipment, it’s great to have but if you’re not using it and getting the most out of it, what’s the point? How much budget does your caseload justify? Another price factor is whether you want a brand new, out of the box imaging table or a used one. As is with new, you would be paying significantly more than if you bought a used or remanufactured imaging table. However, if you find a reputable surgical table remanufacturer, you can get a used table that has been completely restored to as-new condition. Hint: When looking at a remanufactured table, check the warranty. The warranty is an indicator of the quality. The final price tag depends a lot on the types and quantities of imaging table accessories you want and need. Taking into consideration all that we’ve discussed up to this point, there are a few more very important factors to consider, which make up a less significant part of the final price. Limited warranty: Which parts of the warranty are limited? Included in the warranty: Is it parts and labour; parts only; or, labour only? Parts not directly included in the warranty, whether it be limited or not? Limit on the cost of parts and or labour that is covered? Covering your asset with a good warranty will help bring down the overall lifetime cost and give you peace of mind at the same time. When inquiring about the warranty, make sure to discuss the option of an extended warranty, if available. What happens when your table breaks down after warranty has expired? Do you know how much parts and labour will cost when there is no warranty to cover it? As a value added service, some table suppliers may include a preventive maintenance package with the purchase of your new imaging table. Others may charge for it, while some may not offer it at all. Every table comes with OEM guidelines for when a table needs servicing and the tasks to complete. Are you spending an additional $500 per year or $1500 per year on required maintenance upkeep? That could amount to several thousand dollars over the lifetime of the table. Although seemingly trivial, shipping and handling charges could add significant or unforeseen expenses to your final bill. Who’s going to uncrate it? What do you have to do with the shipping materials after the table is uncrated? Is the table getting shipped to the receiving dock, or is it going to make its way to the final destination? You just spent however much on a brand new imaging table but don’t know much about how it works. Are you getting a hands-on training expert to physically be there for you and show you, or are you getting a USB with a video? Is it extra to get someone to come out to your facility to train, or is it included in the price? What kind of training collateral comes with the table? For a moment, let’s not take into account all of the costs that will eventually tally up and determine your real cost. Let’s just focus on the tables. To make it easily digestible, we’ve come up with the price chart below for standard imaging tables. *Note: Float top tables have the same 5-movement functionality but are hand-controlled for the precision and speed that are necessary in certain vascular procedures. 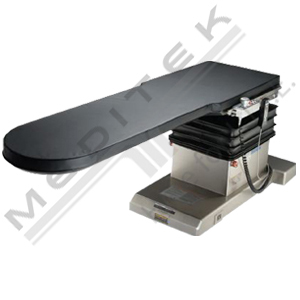 Meditek has provided Canadian healthcare facilities with surgical tables since 1981. Our capabilities include distribution of new Biodex tables (Canada-wide) and Skytron tables (Western Canada). 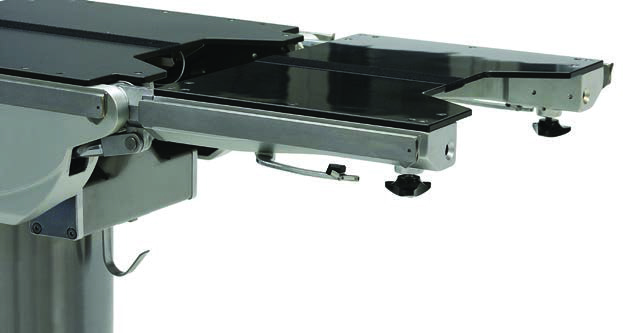 We also provide all makes and models of remanufactured imaging tables across Canada. If you have any immediate questions about how much an imaging table will cost you, please call us directly at 1.800.567.8400, or click the link below.